I’m teaching at Lisa Caballero's lovely studio at Towne Storage on SE 3rd and Ankeny. Whatever your style Portrait Drawing Inside & Out will help give your drawings more depth and capture the spirit of your sitter. Good for painters too! Lisa is also teaching So You Think You Can’t Draw. It’s a fun class for anyone starting out or wanting to refresh their understanding of drawing fundamentals. Highly recommended! If you have questions feel free to email me. Or, if you wish to go ahead and register please contact lisa. More info below. 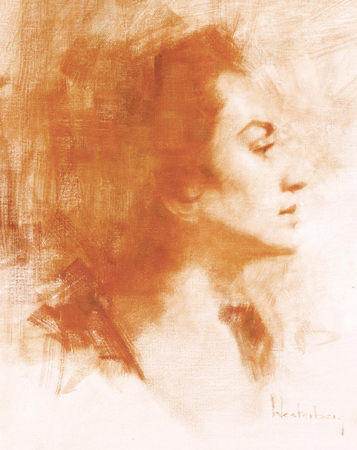 Portrait Drawing Inside & Out Learn the fundamentals of portrait draftsmanship with an emphasis on gesture, structure and anatomy. Understand facial character by understanding key landmarks, basic structure and the unique shapes that create a likeness of the model. Artists will also learn how to give a three-dimensional quality to their drawing by understanding how light affects the forms on the face. Drawings will be done in pencil, charcoal and aux quatre crayon ( 4 colors ) on toned paper. Work in a professional studio with great lighting and vantage points for drawing the model. The small class size is ideal for all drawing levels and for painters wishing to advance their craft. Aux Quatre Crayon? See my blog post here. Nicholas by Peter Paul Reubens. An example of aux quatre crayon ( white, red, brown & black ). Another great way to improve that is tried and true is to copy the work of master artists. With this in mind I practiced aux quatre crayon by translating a painting of the great english portraitist Henry Raeburn. 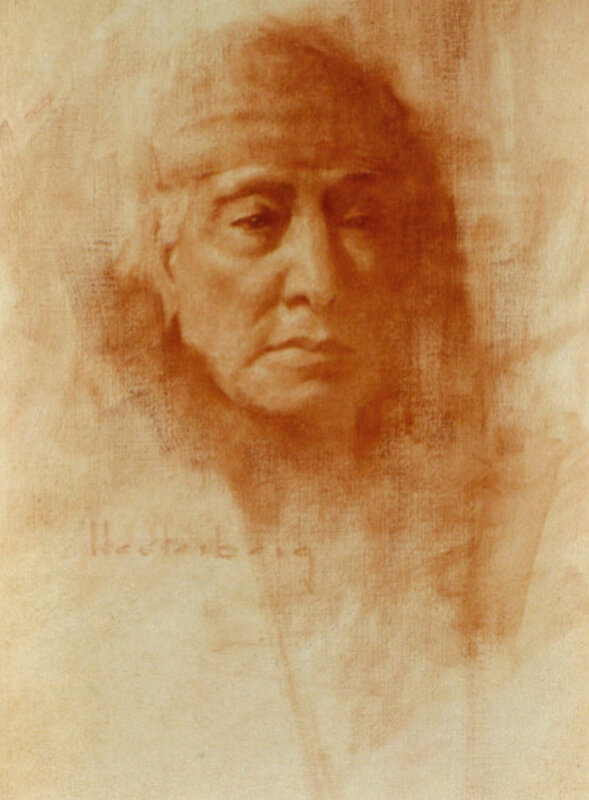 After Henry Raeburn, aux quatre crayon by Eduardo Fernandez. 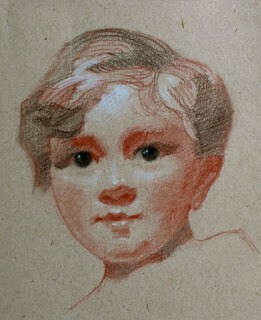 Later I used pastel pencils to create this portrait of my honorary nephew Henry for my friends Susan and Joe. Whether drawing or painting, my goal is to present my subject in their best light and to bring pleasure to those who commissioned the work. Each medium, painting or drawing, informs the other and I find this greatly rewarding.